Do you want a dog that is loyal, intelligent, active and protective of their family and home? If the answer is yes, then you should consider a German Shepherd. They can be a devoted, fun-loving member of the family. It is important to know that they are not usually aggressive, they can be territorial and be shy around unknown dogs and strangers. They are very trainable and like to be active with their people. These characteristics have made them popular in law enforcement, military roles and as service dogs. It also means you need to make sure they do not get bored, frustrated or lonely to avoid bad behavior. 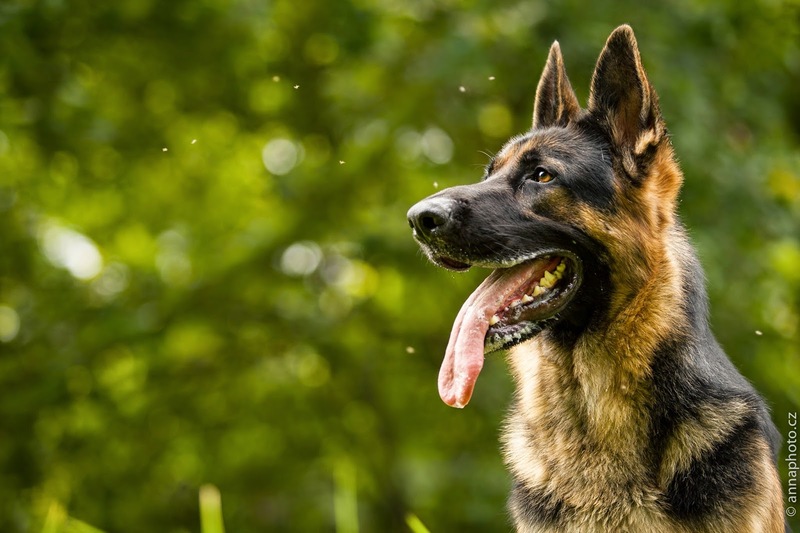 If you have little ones, it is good to know that German Shepherds can be great companions with children, providing they have had early socialization. On the downside, they can be vocal, shed everywhere, have a tendency to chew things up, and sometimes get carried away and play a little rough. Unfortunately many pet owners don't take the time to train or work with their German Shepherds and many end up in rescue or at shelters. Adopting a rescue German Shepherd is an ideal way to find out your pet's personality before you adopt them. Hip Dysplasia: Hip dyplasia is a heritable condition in which the leg doesn't fit correctly into the pelvic socket of the hip joint. Hip dysplasia can exist with or without clinical signs. Using Special SAMe, Canine Comfort, Arthrtitis & Joint Support Kit can help keep your pets pain under control. Elbow Dysplasia: This is a heritable condition common to large-breed dogs. It's thought to be caused by different growth rates of the three bones that make up the dog's elbow, causing joint laxity. This can lead to painful lameness. Gastric Dilatation-Volvulus: Commonly called bloat, this is a life-threatening condition that affects large, deep-chested. Bloat occurs when the stomach is distended with gas or air and then twists. The dog is unable to belch or vomit to rid itself of the excess air in its stomach, and the normal return of blood to the heart is impeded. See our blog for more information. Exocrine Pancreatic Insufficiency: EPI is a genetic disease of the pancreas in which the cells that produce digestive enzymes are destroyed. As a result, the dog can no longer digest and absorb food. Consider adding Power Probiotics for Pets and K-9 digestive enzymes to help your pets digestion.